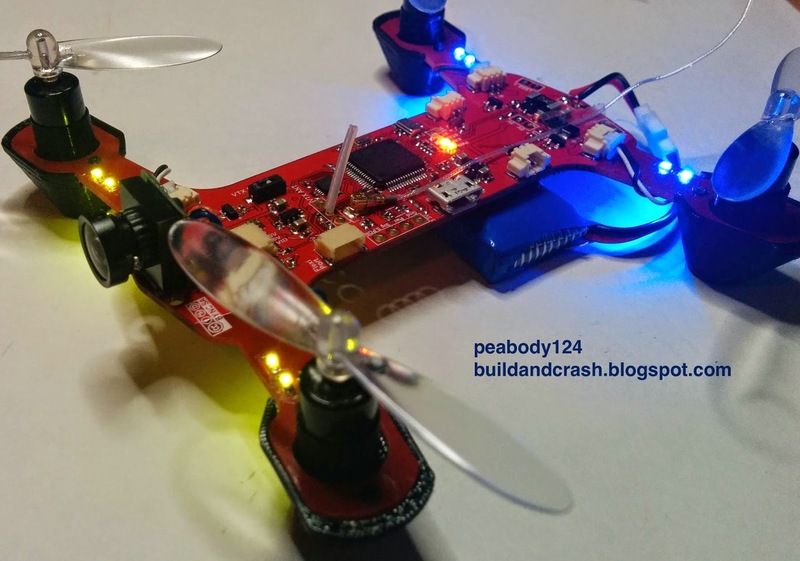 "I did something similar with a tricopter a while back: http://buildandcrash.blogspot.com/2013/04/triblivion-and-sparky.html it was quite a lot of fun. Nice work!" "good ! Is it open source?" "That looks really cool. " "Hehe. I'm almost done with the next revision to keep moving that way." ""Also since I know the inevitable torrent of questions about this is going to be "where can I get one", I'm working with someone to try and get them manufactured. In the mean time I'll likely make a few for friends and…"
"Yeah, that is really cool." "this video shows a direct comparison of PWM and Oneshot: https://www.youtube.com/watch?v=b1BX3TDD28g"
" @ Hugues: It provides a faster update to the ESC and hence better control of the ESC/aircraft craft." "This is chinese to me without getting a minimum of contextual information. never heard of one shot esc. Sounds like a disposable esc you use one shot :p"
"i hope we could see this option in a near futur for arducopter"
This is an update on the BrushedSparky that I posted about a month ago.